Compatible & versatile: The actuator that fits every valve. SAUTER actuators fit onto many valve types from a range of third-party manufacturers. 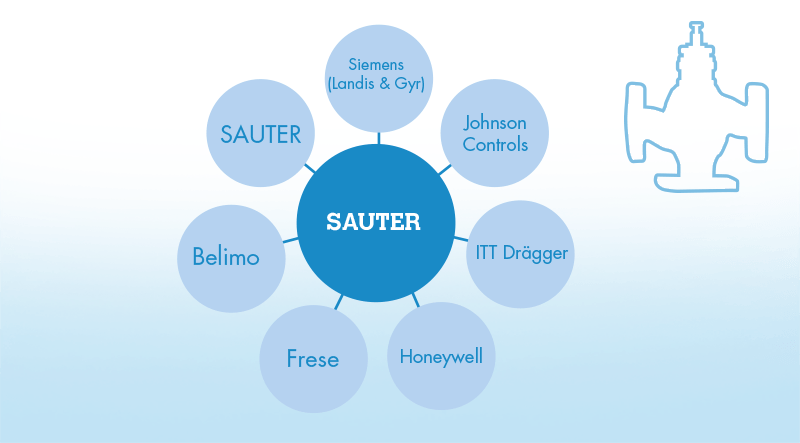 Therefore, you can replace various actuators in your HVAC installation with the SAUTER product range in order to minimise the work involved. This compatibility gives you the flexibility that you need. Our overview shows you at a glance which actuator is right for your installation. 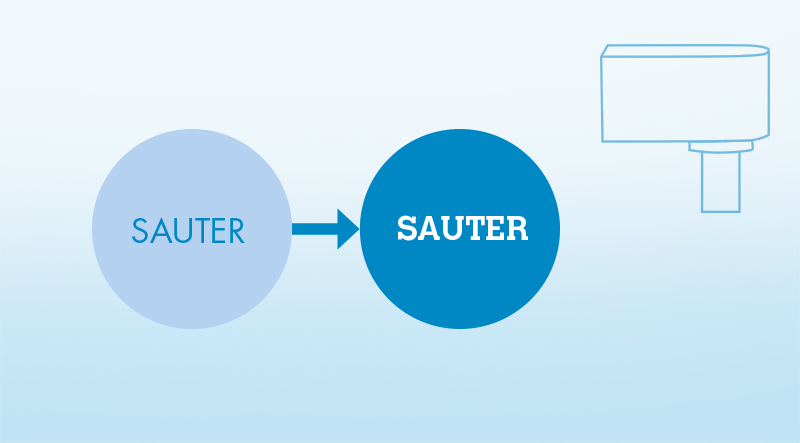 Select the valve manufacturer and find the SAUTER actuator that fits each valve type. For every SAUTER actuator to be replaced, there is a follow-up model with major energy-saving potential. Find your existing SAUTER actuator in our table and the corresponding energy-saving SAUTER actuator of the latest generation.